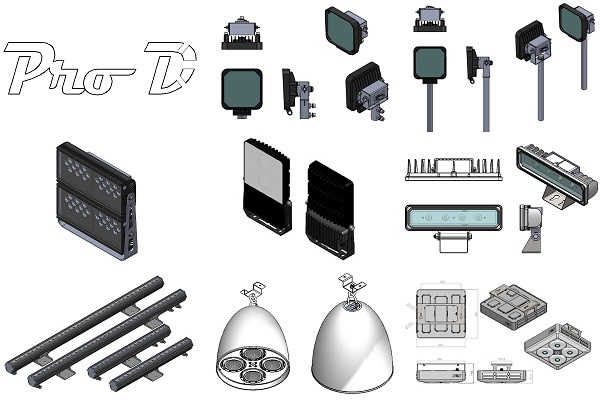 With strong data managing capabilities, stable long-distance transmission capabilities and engineering planning flexibility and simple features, the system supports a variety of LED driver chips (including DM413, LDP1886 ... and other chips) , More in line with international standards DMX512 / 1990 standard protocols and extensions agreement, the system can integrate different lighting interface control, so that planning more easily. Prodigital Technology Corp. 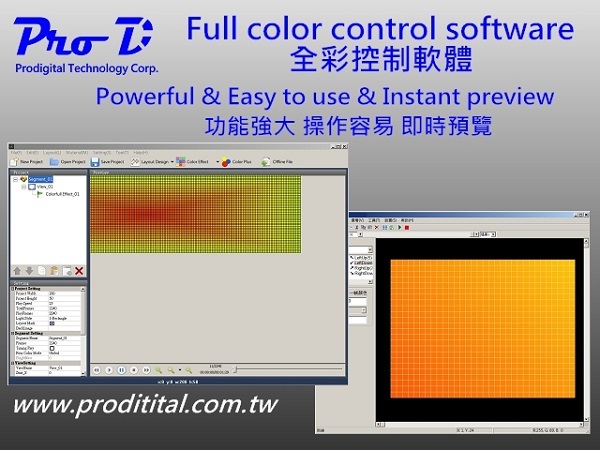 LED full-color control system to support online updates, Internet linkage control, large screen control, system synchronization and a variety of built-in control interface, providing customers a complete solution. LED using Germany Osram, the Netherlands Philips, Japan Nichia, the United States CREE, Taiwan Epistar ... indoor and outdoor light lamps and other products, product life, light efficiency, color temperature, quality are stable, the use of products up to 2 years, , Used in factories, logistics, warehousing, etc., With high efficiency 130lm / W output and less than 20% light decay in 3 years. With special structure thermal design, the product warranty can be up to 3 years and the service life of up to 5 years. 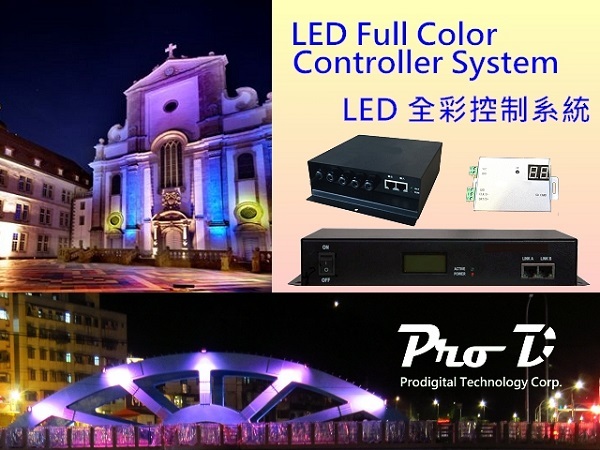 Its quality principle by the customer unanimously respected, but also continue to create new value, and strive to promote Taiwan's characteristics and spirit, uphold the field of LED professional experience, to provide customers with different options.